Although the Moto G is not as powerful as an Galaxy S5 or an HTC One, the Moto G is the best phone you can get for for a low price right now. It does not include any contract and it comes unlocked out of the box, ready to be used in any GSM carrier. However, since the phone is a low-end device, the phone currently does not support the fastest data network, LTE, it only supports 3G data. Fortunately, slow 3G will not be a problem anymore. 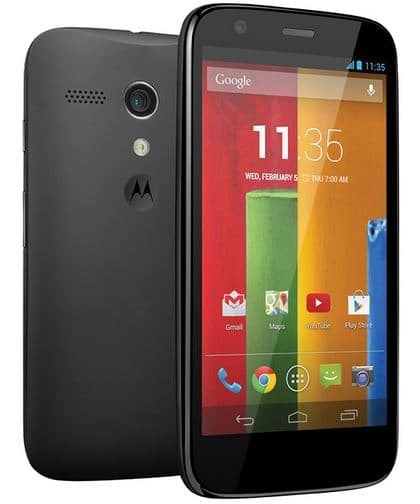 It appears that Motorola will launch a Moto G with LTE support by the end of next month. As spotted by AndroidPolice, Amazon now shows two LTE-enabled Moto G phones: one in white named “White Universal LTE”; the other “Black Universal LTE.” Both model cost $220 and will be released on June 30, 2014 according to the Amazon listing.